SKIMYBEST.COM: "Ski Slope Access for Paid Instruction"
Return to start page of SkiMyBest. Many ski resorts in the United States operate on federal lands with exclusive use permits from the U.S. Forest Service. In these cases resorts pay fees to the federal government for the privilege of providing and charging for services on these lands. Often such resorts own land at lift bases where they operate lodging, food service, ski rentals, accommodations, and lift access, but the lifts themselves and the slopes skiers use may be on national forest lands, especially in Colorado and the rest of the West. Thus, while non-ski-school persons may teach others on the national forest slopes, in most cases they cannot legally do so for compensation. In these cases, only the ski resorts can lawfully provide instruction for which a charge is made, which is only fair so they do not have to compete with those who would otherwise avoid the fees the resorts pay and the standards which they must meet. And the resorts do enforce this business practice with security personnel who observe on-slope teaching by non-staff or off-duty employees and take action against violators. In other cases, resorts operate on their own or on leased lands, and are equally opposed to non-personnel teaching for pay on their properties. Of course, ski school lanes cannot be used to access lifts by non-staff or off-duty teachers. If a black-market instructor is caught by a resort and removed from the area, a lesson session would be terminated . Even so, the so-called "underground" ski school has existed and may still, but to ask a professional to participate is to ask him or her to risk loss of a career. Here is a personal aside: Bill Jones knows of an underground instructor who went to work for a ski school; during the entire season he had the worst guest return rate of all instructors and then failed the required fitness test and can no longer teach at that ski school. How would you know not to hire him, or even to take his advice free? Too, should there be an injury in an "underground" lesson to the instructor--an instructor might not receive help from a health insurance company, if any, for policies may not be intended to cover non-pay situations, and there would be no workman's compensation. If there was an injury to a student that might be blamed on the instructor, 'though a case that might not succeed anyway, that student may find suing a person without resources a futile exercise. There could easily be issues with the Internal Revenue Service and the Social Security Administration as well. Please do not ask Bill Jones or any other person to teach outside the established, lawful, system. 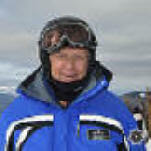 For the same viewpoint see the Professional Ski Instructors Association magazine 32 Degrees, Fall 2012, page 90. "Underground Teaching: you don't want to go there", by Dave Byrd, director of Risk and Regulatory Affairs for the National Ski Areas Association. BRECKENRIDGE, Colo. (CBS4) – The Breckenridge Ski Area has a problem on its hands heading into ski season as people are giving ski lessons illegally. Now the town may step in to help. The police department said it’s about safety, but one thing that’s unique with Breckenridge is that the base areas are within the town limits, so while it’s a federal violation right now, the town also wants to make it illegal. “It’s amazing how many people do advertise, especially on sites like Craigslist, and the ski areas monitor that,” Assistant Police Chief Greg Morrison said. Breckenridge Ski Area and the town want to crack down even harder on the dangerous niche industry. Illegal ski lessons are a federal crime because it happens on Forest Service property. But with few law enforcement officers around the ski resorts in the winter, it’s also a hard crime to catch. “It’s total common sense. It’s better for everybody. The Forest Service, they support it also,” Morrison said. Morrison told CBS4 about a case last year where a family paid $400 for an illegal private lesson. What makes the violation an even bigger logistical nightmare is that cases are heard in federal court. With a hefty fine and even jail time, the police think the law would eliminate the few people who think about breaking the law. It’s not quite singed into the town’s law yet, but the resort and the police department said they’re hoping it will be in place for opening day on Nov. 19. This "Ski Slope Access for Paid Instruction" page last modified 11/03/2017 07:21:42 AM. Did you come here from a link on another website? For latest version of this page, copy to your browser: http://www.SkiMyBest.com/skisys.htm. Copyright © 2013, 2014, 2015, 2016, 2017, 2018, 2019. William R Jones.